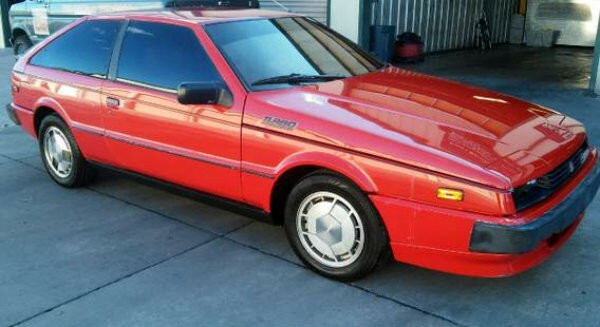 For as long as I can remember, I have wanted an Isuzu Impulse Turbo. As a fan of MK2 Volkswagens, I saw it as the Scirocco VW should have built, with rear-wheel drive and a turbocharged engine. Factor in the other touches of 80’s period goodness, like the flip-up headlights, clamshell hood and ample Turbo graphics, and you have one of my favorite potential project cars. This 1986 model here on craigslist is available for $2,500 and looks like a great starting point – the automatic is unfortunate, but these cars are hard enough to find in any form that I’d gladly buy it as-is. The interior is in astonishingly good condition for the age, as are the polished OEM wheels. A car I wish I could buy, right now. If any of our readers have experience with these turbocharged hatchbacks, let us know in the comments below. I agree with you Jeff that auto is unfortunate but so is the salvage title. I wouldn’t ever buy this car, not because of the title, but because I would hate driving it in auto and be looking to dump it as soon as I’m done with my first drive through the canyons.